We are a leading Manufacturer of medical disposables from Mumbai, India. 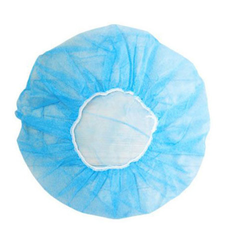 Surgeons Cap / Bouffant Cap Ultrasonically manufactured Surgeon's Cap with tie strings or elastic finish. Made from Spunbond Nowoven Fabric.